Registration is open now for Summer Season 2015-2016! Go online to register or come to our registration night! 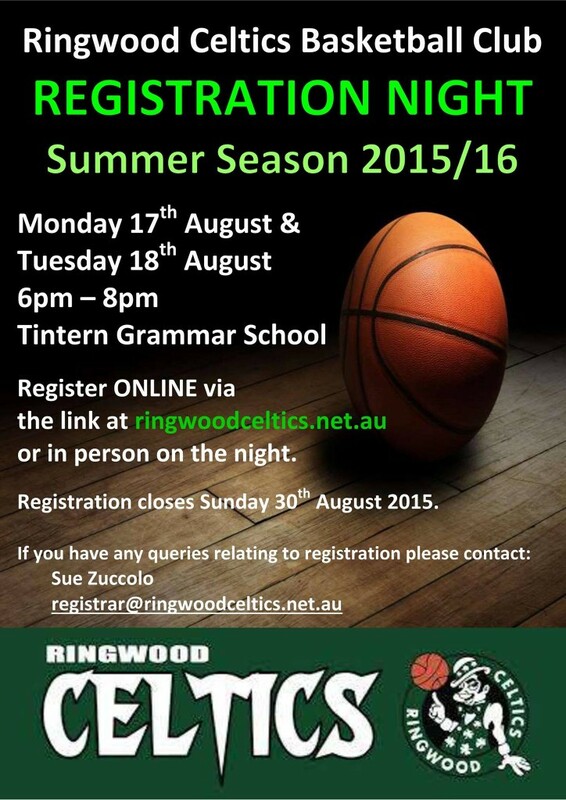 Spread the word – new players are always welcome at Ringwood Celtics! We are also holding Registration Nights at Tintern Schools on 17th and 18th August 6pm – 8pm. Registrations close Sunday 30th August 2015. Make sure you get your rego in before this date!